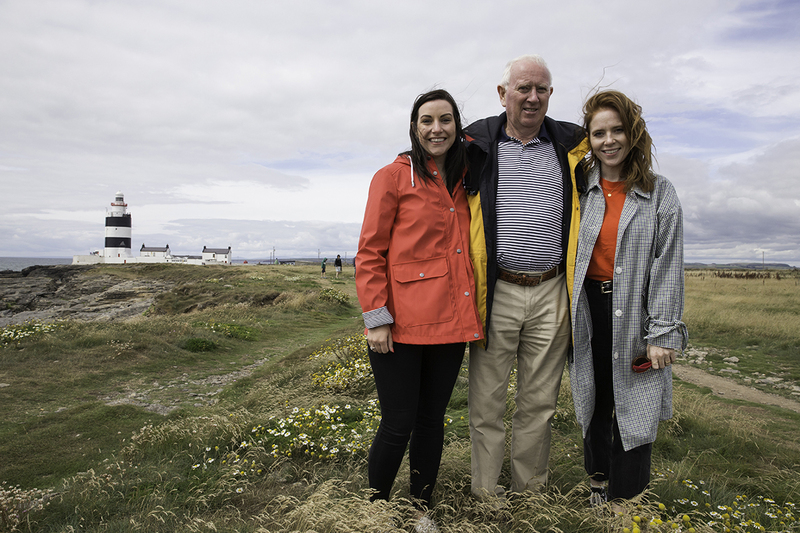 Tourism Ireland has teamed up with TV presenter Angela Scanlon, in a new promotion to showcase the island of Ireland to British holidaymakers this autumn. As part of its autumn campaign in Britain, Tourism Ireland is working with The Daily Telegraph to produce a series of four online films, all about driving holidays around the island of Ireland. Filming – with Angela and her dad Phelim – is taking place this month, along the Wild Atlantic Way, in Northern Ireland and Ireland’s Ancient East. The videos will go live in September and will be hosted on the Telegraph website; they will be promoted via online advertising as well as on the social platforms of both The Daily Telegraph and Tourism Ireland, including Facebook and Twitter, and will be seen by around 123,000 viewers. Julie Wakley, Tourism Ireland’s head of Great Britain, said: “This targeted promotion has been specifically designed to highlight autumn breaks in Ireland and to appeal to our ‘Culturally Curious’ audience in Great Britain. These are independent, active sightseers, who are typically looking to visit new places and expand their experience by exploring landscapes, history and culture. Our promotion with Angela Scanlon and The Daily Telegraph fits very well with this important demographic and is just one element of the more extensive autumn campaign that we will be rolling out very soon – all aimed at boosting late-season travel to Ireland from Great Britain and our other markets around the world. “Tourism Ireland is actively promoting longer-stay holidays and encouraging people to come and discover Ireland by car. Visitors who use a car on holidays tend to stay longer, spend more and are more likely to visit more than one region. The campaign includes a series of articles all about Ireland in the Saturday travel section of The Daily Telegraph – which is read by 1.4 m people across Britain. The campaign also includes a series of ads in the papers; and a specially-created ‘Indulge in Ireland’ hub on The Daily Telegraph website, which includes around 40 different articles, which are being promoted via online advertising. “Britain is the largest market for tourism to the island of Ireland. Latest figures from the CSO confirm growth of +2.3% in arrivals from Britain for the first half of 2018 and, while we welcome this, it’s too early to say if this represents a turnaround in the long-term trend. We’re very conscious that British visitor numbers are still down more than -4% on the first six months of 2016. The impact of Brexit on outbound travel from Britain, therefore, remains a concern. Competitiveness and value for money remain more important than ever in Britain this year,” says Wakley.